Stay tuned for pictures of our NEW SHOP! Our Vintage Sampler fabric has arrived. The kits are ready and our new BOM has started!. Can't decide what to get that special quilter in your life? 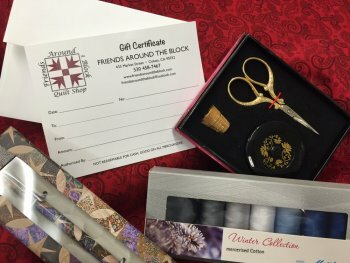 Gift certificates are a perfect "one-size-fits-all" solution.